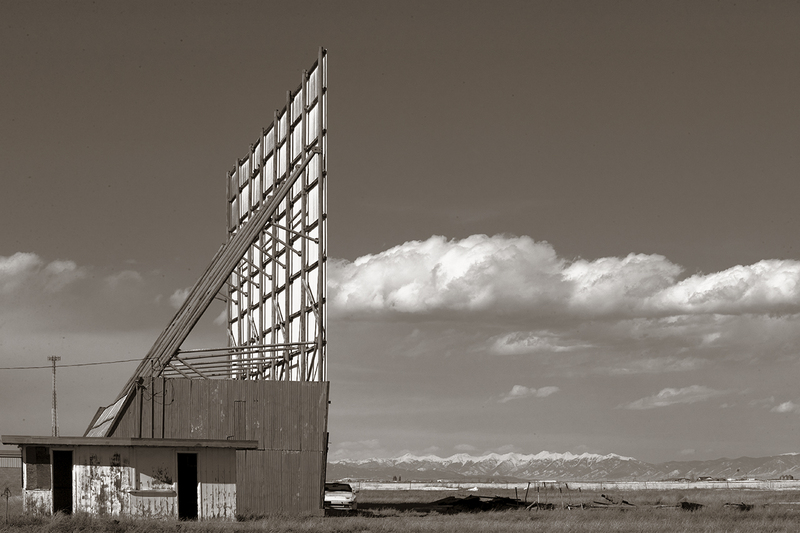 The Frontier Drive-In went dark at least a decade ago. It’s a poignant monument to the halcyon days of tiny Center, Colorado and recalls sock hops, circle pins and getting to second base with Mary Lou in a chopped and channeled deuce coupe. The partially hidden sedan gives me a giggle. You're hiding from exactly what? Love the memories this shot has brought up! We were so lucky to grow up during such a lovely era!The movies and music and kids were so much fun. Love the memories this shot brought up. We were so lucky to grow up during such a lovely era. The music and movies and kids were so much fun!